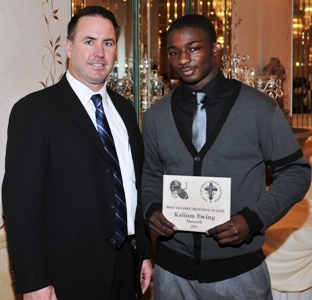 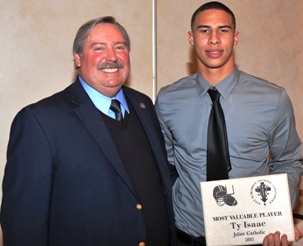 ESCC Player of the Year Ty Isaac with Joliet Catholic Coach Dan Sharp. 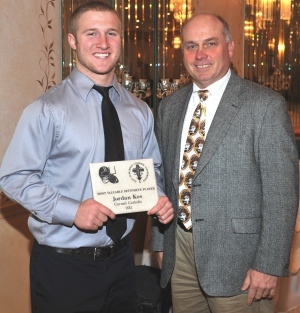 Carmel Catholic coach Andy Bitto with ESCC Offensive Player of the Year Jordan Kos. 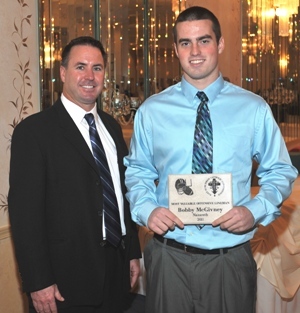 Nazareth coach Tim Racki with Offensive Lineman of the Year Bobby McGivney. 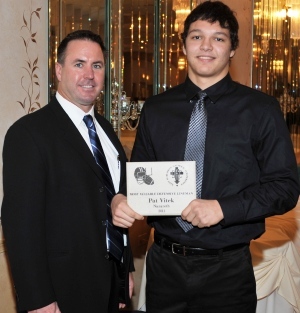 of the Year Kalium Ewing.